Scene: The #RockAgainstDrugs2018 on Jan. 26, 6 p.m. at the Ubay Port Area. Admission is free. Featured bands are Cueshe, Brownbuds and Bo Young Music. Businessman Van Delima said the event is presented by Bohol 2nd District Rep. Erico Aristotle Aumentado who is consistent in his anti-drug advocacy to impact the community to be self-policing and self -reliant continuing to protect themselves against illegal drug activities. “Because ARIS CARES,” he said. Scene: The Guimbawan Festival on Jan. 28 at Batuan town plaza in honor of Sto. Nino de Praga. The first festival was held in 1986 founded by Rev. Fr. Danilo Maniwan. Guimbao is a Boholano traditional drum. Seen: Karen Gallman will try her luck for the second time in the Bb. Pilipinas 2018. Make-up artist Tamara said, “She will represent the sweetness of Chocolate Hills, Bohol.” Gallman, 25, was crowned Miss Ubay 2007 and she joined the Bb. Pilipinas 2012 where she reached the Top 12 and was also named Miss Photogenic. Since the Chinese New Year is fast approaching (Feb. 16, 2018 if you want to mark it down in your calendar right now) – a lot of VRS diehard believers in the horoscope, feng shui and other “supernatural forces” (that will apparently dictate how the next twelve months will play out for each of us) are asking yours truly what’s in store for them in the Year of the Earth Dog. As we know, dogs are widely pointed out to be man’s best friend. Astrologers said 2018 is an eventful year, marked by security concerns and the rise of social conservative movements within society. It is also a good time for lifestyle changes and for new business ventures. Read what the Year of the Dog bow-wows for our favorite Boholanos who make yours and our lives a bit more exciting this year. Miss Bohol 2016 and Miss World Philippines 2017- First Princess Glyssa Perez will embrace show business as she will sign a contract under Regal Films. Mark “Magnifico” Magsayo will continue to inspire every Filipino who is struggling with life’s challenges to achieve a bright future. Lawyer Ingemar Macarine aka Pinoy Aquaman will make a world-breaking record. Actresses TinTin Ng and Lailette Boiser will bounce back and spring a big surprise on all of us, proving to all and sundry that they are not done yet, career wise. They will have more challenging roles in teleseryes and movies. Mister Supranational Philippines-2016 AR de la Serna will have a big break in the industry. A successful Tigum Bol-non sa Tibuok Kalibutan (TBTK) in July 2018 under the leadership of Dr. Rhine T. Pamaong. Cabinet Secretary Leoncio “Jun” Evasco Jr. will make a final decision (to run or not to run for governor in 2019) middle of this year. Beauche owner and former Carmen Mayor Conchita “CheChe” Toribio- delos Reyes will make a political comeback. She will run for congresswoman in the third district where her hometown Carmen belongs. 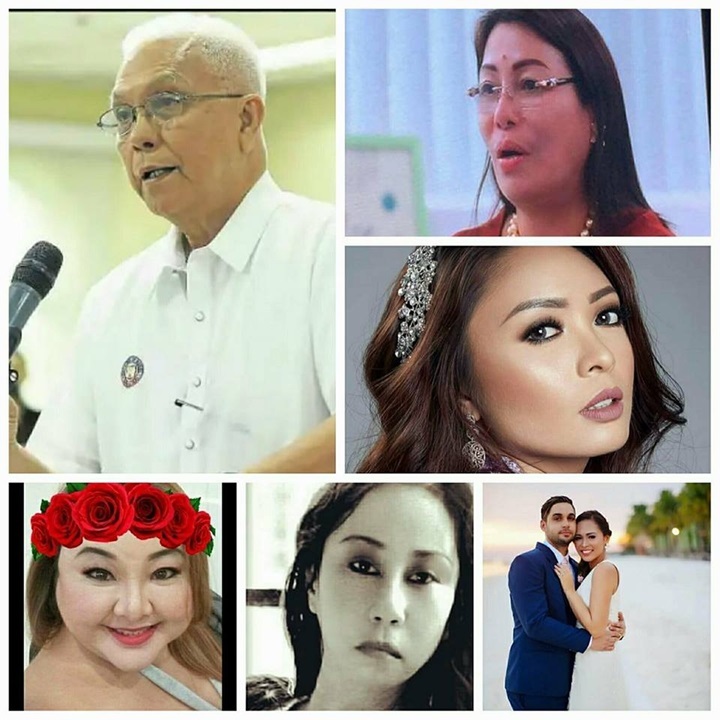 The post is to be vacated by Rep. Art Yap who is reportedly eyeing to run for governor with last-termer Rep. Rene Relampagos probably his running-mate. Many people will support the “The Mermaid” Jammy Ungab on her “Plastic Free Bohol” Movement. A controversy will rock (again) a beauty pageant in the province. So what else is new? With love, patience and no small degree of soul-searching about their relationship, a young couple will have a tearful reconciliation. So sweet! No reconciliation for the young couple who will end in a bitter court battle. The hubby (who is a young politician) had walked out on his wife and kids and into the arms of a younger woman. The breakup surprised us all. But unlike other troubled couples, their separation did not lead down the long, sad road to annulment. However, the family of the politician’s wife decided to sue him after he went wild disturbing the whole village! However, the wife still loves him! The love is still there. After all her noble initiatives for the improvement of public health, the head will be dismissed due to “unseen hands.” Her “frenemies” don’t like her new brand of leadership and hate her for being so kind. Ooops… they are not so kind! A certain politician will make a painful decision of finally “outing” himself. Well, those close to him have long known his sexual preference. Just show your true colors! Another big scandal will shake the political scene. No elaboration. A title holder’s wholesome image will be tarnished by issues against him. A favorite radio program will fade out. A surprise announcement about a major revamp of a top-rating radio program. New heads will roll (in). 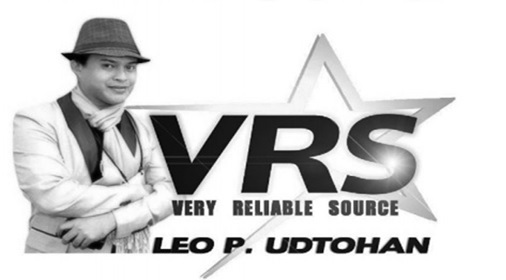 A talent from Bohol will shine on international TV talent shows. The province of Bohol will make a world headline. No elaboration. Before the year ends, politicians will announce their intention to join the 2019 elections, if, that is a big if, there will be elections. And some will begin mudslinging in the last quarter of the year.